When Gyan and Arthur meet, each recognize within the other their soul’s mate. The treaty has preserved Gyan’s ancient right to marry any man, providing he is a Brytoni noblemanbut Arthur does not qualify. And the ambitious Urien, Arthur’s greatest political rival, shall not be so easily denied. If Gyan and Arthur cannot prevent Urien from plunging the Caledonians and Brytons back into war, their love will be doomed to remain unfulfilled forever. THE COMBATANTS CIRCLED warily in the churned mud of the practice field, blind to the swelling audience and the chilling autumn rain. One, a giant of a figure, was the teacher. The student was neither as tall nor as well muscled but moved with the speed and agility of youth. The mud splattered on both bodies was mute evidence of the length of the session. Keep up your intensity! Ogryvan swiped at his opponent’s midsection. Always! Lose your battle frenzy, and you’re dead! Neither was fighting in true battle frenzy, but the younger warrior understood. Smiling grimly through the rivulets of sweat, the student danced out of reach, whirled, and made a cut at Ogryvan’s thigh. The blunted practice sword could not penetrate the leather leggings but was sure to leave a bruise precisely over the wound he had taken at Abar-Gleann two months before. Although the swordmaster gritted his teeth against the pain, his opponent sensed satisfaction in the accompanying nod. The reason for the sign of approval was clear: the student had made an excellent choice of moves. Exploitation of the enemy’s weaknesses was a basic tenet of the warrior’s art. Mastery of this principle would serve Ogryvan’s pupil well in the years to come. Strive to outthink your foe. Stay one move ahead, he advised between feints. The clatter adopted a dancelike rhythm as the opposing blade deftly met each thrust. The onlookers shouted their approval. The youth answered with a powerful counterattack, silent but for the creak of leather and the hollow thunks as sword met shield. The swordmaster staggered backward. His disciple quickened the attack. And grew careless. The shield sagged. Ogryvan landed a blow to the unguarded left shoulder. Startled, the youth lost footing in the treacherous mud and fell. The laughter sparked by the mishap, from teacher and audience alike, was not unkind, yet it did not comfort the mud-painted student. The Chieftainess of Clan Argyll hated to lose. The reason rankled like that awful brew Cynda called spring tonic: she’d not done her best. She didn’t need her father to tell her that carelessness had caused the loss. In battle, such a mistake was fatal. She began to pick herself up, seething, only to be unceremoniously shoved face-first into the mud. Before she could twitch, her father’s foot pinned her down. His sword at the base of her neck chilled her to the core of her being. It was too easy to imagine what might happen next. Ogryvan whispered, Pay attention, Gyan. This is my favorite part. His rumbling voice poised on the brink of a chuckle. All hear and beware! The Ogre takes no prisoners! Had this been actual combat, her head would have become the newest addition to Ogryvan’s private collection. Such was the Caledonach way. Not only was the foe defeated in death, but to the victor went possession of the soul. Well honored was the warrior who boasted the largest array. Long years of training had hardened Gyan to this aspect of warfare, yet the prospect of someday ending up on display in an enemy’s feast hall was grisly at best. By the shifting of his foot on her back, she knew her father was posturing for the crowd. They rewarded his performance with gleeful claps and shouts. The official practice session was over, of course. But she wasn’t quite finished. Her sword hilt nestled in the palm of her outflung hand. She carefully tightened her grip. In a burst of movement, she writhed and scissored with her legs, twisted free, rolled to her feet, and brought the sword up in both hands. Ogryvan toppled into the mud. The resounding wet thud of his landing was chorused by the guffaws of the audience. She grinned, holding the point of her sword to his throat. Neither does the Ogre’s daughter! No nectar was as sweet as the joy of winning, and winning before an audience of her clansmen tasted even sweeter. One day, she would lead them into battle; events like today’s added another brick onto the foundation of trust. Their heartfelt adoration warmed her like the summer sun. She sheathed the sword and offered a hand to her father. Even? Her voice was huskier than usual from the exertion of the morning. Ogryvan took the proffered hand to regain his footing. Even. The crowd drifted back to their various duties around the settlement, but one man remained at the edge of the field. She strode toward him, swatting mud from her thighs and chest. Well, Per, how did I look? Like the fen-spirits Cynda used to try to frighten us with. Her half brother reached for a glob of mud lodged in her braid. Ha! She playfully slapped his hand away. You know what I mean. Per beamed at her. You did well. I don’t think I could have fooled Father like that. Or held him off for so long. She didn’t believe him for an instant. They had sparred with each other often enough to know who was the better swordsman, but she rewarded his flattery with a brilliant smile and a challenge: Race you to the house! She launched herself down the path, bruises forgotten in the autumn mist. I am Gyanhumara nic Hymar, daughter of Hymar and her consort, Ogryvan. My mother, whose name means song, named me her rarest song, for I was fated before birth to be the only daughter she would ever bear. Those who do not ken the Caledonach tongue call me by many other names: Vennevria … Guanhumara … Ganora Gwenhwyfar … Guenevara … Guinevere. I am none of those women. The banner under which I fight is not my own but my clan’s: Na Calamaig h’Argaillanaich, which is called in your tongue the Doves of Argyll. Our storytellers tell us of Clan Argyll’s first exalted heir-bearer, who lived countless generations ago. Argaillean was fierce and strong and true to her name, which means our tempest. For her valiant battle against those first despised Rmanach invaders, she chose the doves, for they are the fastest of birds and the strongest for their size. Argaillean and her army had to be fast and strong to defeat the Rmanaich. She chose two doves to show unity between her and her consort, between her and her clan, and between her clan and Caledon. The silver on the banner represents the natural coloring of doves, but Argaillean also chose it in defiance of the Rmanaich, who prize silver for their finest armor and adornments. The midnight blue field against which the Doves of Argyll fly represents the vast eternal realm of the Old Ones or Heaven, as I have learned to call it. I also proudly fight under the Scarlet Dragon of Arthur the Pendragon, but I shall defer to him for the explanation of its meaning, if he so chooses to share it with you. 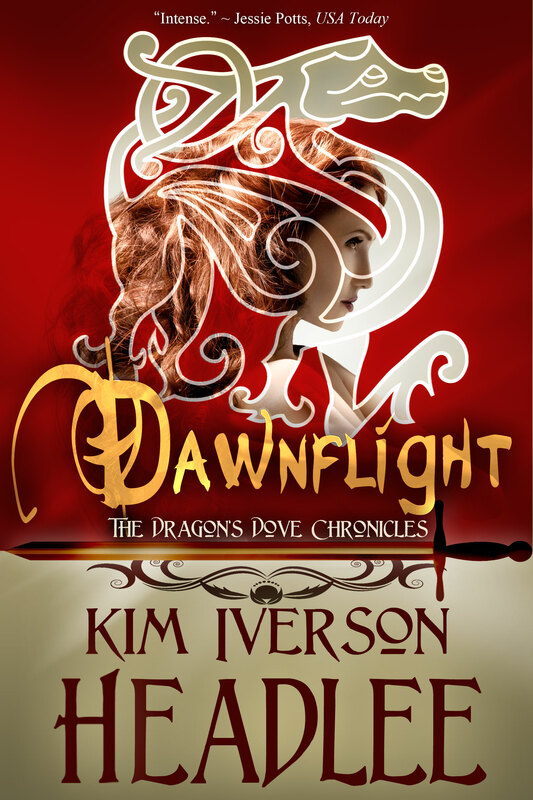 Im a world filled with magic the author brings a new and fresh look to an old retold story of Author and Guinevere! After hearing it told the same this was a very enjoyable change of scenery for me. The plot and backstory was not overly done and made the story entertaining. 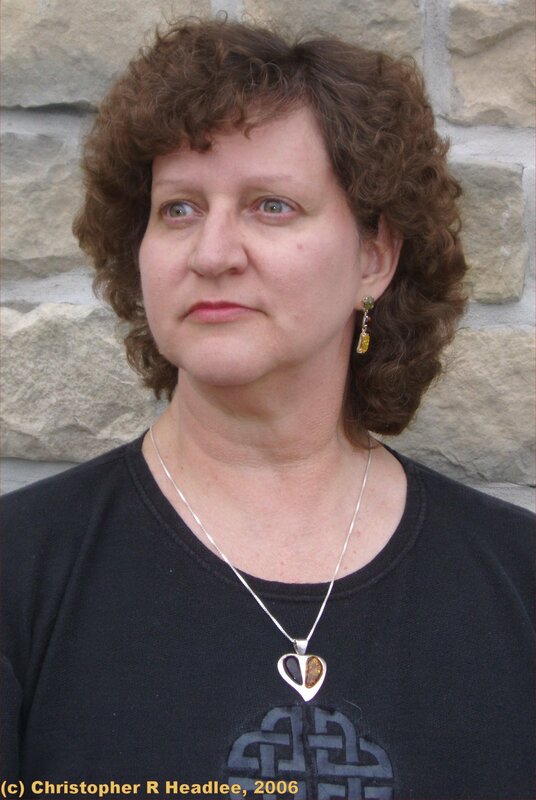 The characters are seen as heroes and heroines by this author. While you still have your villains that enjoy to bring trouble, watch out because the author did an amazing job with both sides. Even though your given a choice the novel still showed that there are many factors where she has to choose between her people or the love of her life. Who will she choose? Does she really have a choice? We still see all those that we have in others but as I said she gave it an uplift that it truly deserves. The author twists you in knots with her story and I loved it! You have adventure, history, romance, and magic in this wonderful novel. Who could ask for a better set of different genres. This is definitely one for you to pick up if you like these genres! 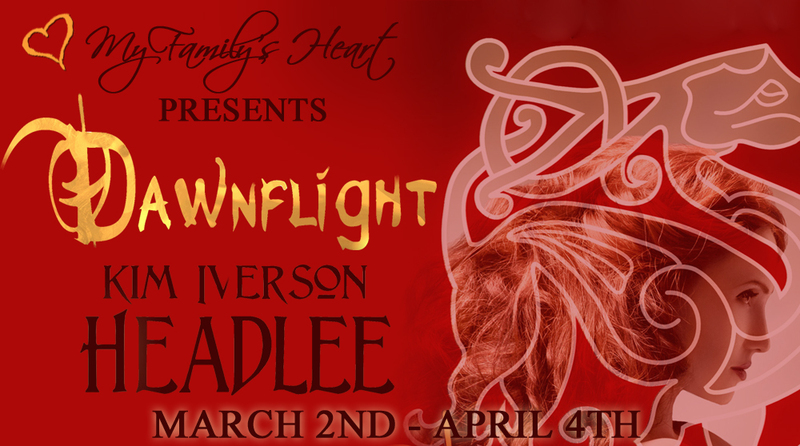 Thank you for featuring Dawnflight on your blog and for giving it such a lovely review; I’m glad you loved the story!